Awin launches third annual cross-sector conference, ThinkTank UK. Following on from the success of The Affiliate Code in 2018, Awin's third annual conference, ThinkTank UK, will take place this June. Held at the iconic London venue, County Hall in Westminster, on Thursday 13th June, this complimentary event will welcome over 300 advertisers, publishers and partners. Registration will open from 16th April and you can view the event page here. 'Future-proofing' is the over-arching theme of the event, and ThinkTank UK will provide attendees with insight and analysis into the latest developments in the industry, and equip guests with tangible takeaways designed to fit into their current marketing strategy. This year's guest keynote will be delivered by Joe Twyman, Co-Founder and Director at Deltapoll, previously Head of Political and Social Research at YouGov. With Westminster serving as the backdrop to the conference, Joe will use the small matter of Britain’s exit from the European Union to show how political polling has adapted in the digital era to better understand the behaviours of different people. Joe's talk promises to prove useful for anyone keen to understand their audience and customers better. Guests will hear from an array of Awin speakers across a range of topics including our core verticals of telecoms, travel and retail. The day will open with a welcome address from UK Country Manager, Ian Charlesworth, and finish with a closing panel session with Ian and The Awin Board. Guests will also have the chance to network and explore future business opportunities throughout the day, as well as visiting our sponsor exhibition. ThinkTank UK is kindly sponsored by RevLifter, Affiliate Summit Europe and PerformanceIN. If you’re interested in becoming a sponsor please contact Maura Reidy. Stay updated with the event details by following #ThinkTankUK. See all the highlights from our 2018 conference, The Affiliate Code, here. For any questions please check out the event page or contact our Events Team. 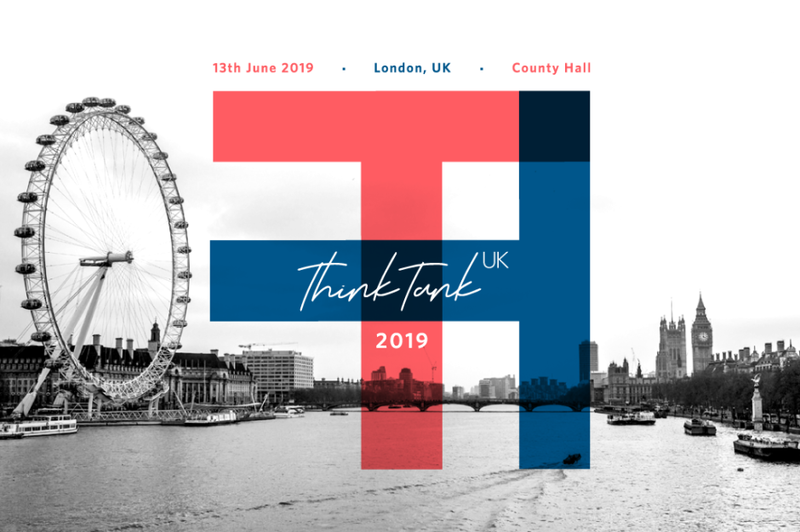 Awin will host a day of learning, discussion and networking with key client and partners at ThinkTank UK on Thursday 13th June in County Hall, London.